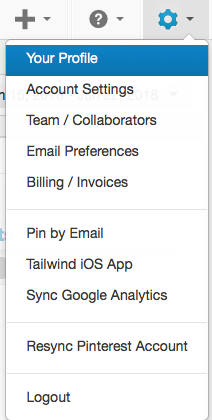 How do I change my Tailwind Password? 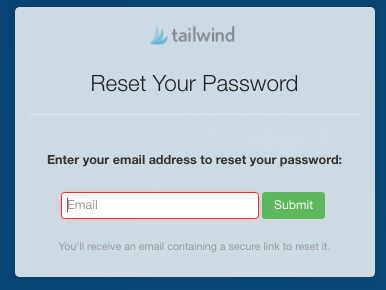 Stay secure by updating your Tailwind password in just a few simple steps. Go to Your Profile (located in the drop down settings menu in top-right hand navigation). 2. Click the "Change your password" button just to the right of Contact Info. 3. 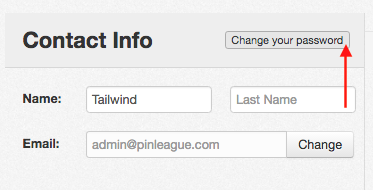 Enter your Tailwind email address to trigger a forgot password email. This will trigger an email that will be emailed directly to your email address with a link you will click to reset the password.